President Ram Nath Kovind today gave his assent to the Fugitive Economic Offenders Bill 2018, a Bill to provide for measures to deter economic offenders from evading the process of Indian law by remaining outside the jurisdiction of Indian courts, thereby preserving the sanctity of the rule of law in India. This ordinance will come into effect from today. It will be very important for upcoming banking and other competitive exams. So, let's try to understand this bill in detail. Who is Fugitive Economic Offender ? A fugitive economic offender is an individual who has committed some specified offense involving an amount of ₹ 100 crore or more and has absconded (escaped) from India or refused to come back to India to avoid or face criminal prosecution in India. 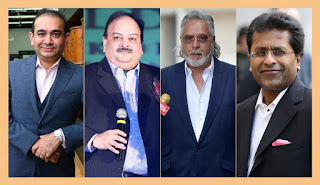 Some of the Recent Fugitive Economic Offenders : Nirav Modi, Vijay Mallya, Lalit Modi, Mehul Choksi and Jatin Mehta etc. 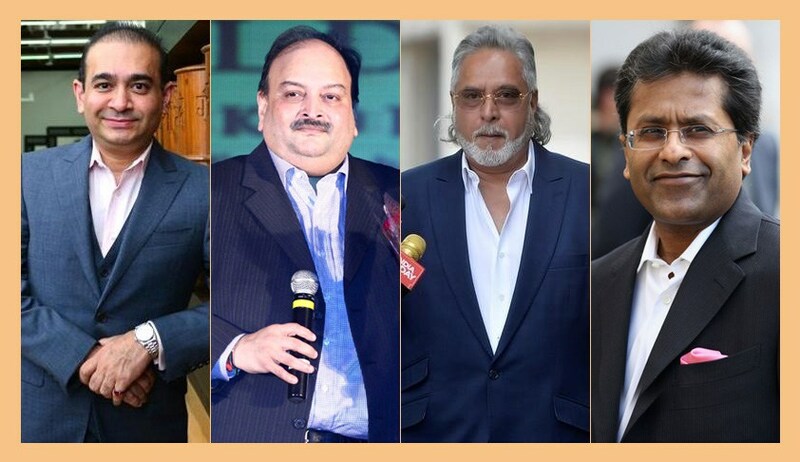 After the recent financial frauds came to fore in India, especially the Rs 13,000 crore PNB scam where diamantaire Nirav Modi and Mehul Choksi fled the country, it became apparent that the existing civil and criminal provisions are not entirely adequate to deal with the severity of the problem. The absence of offenders during investigations poses problems for the probing agencies apart from undermining the law of the country. So the Fugitive Economic Offender Bill came to light. The Union Government approved the bill in April 2018. The Lok Sabha has cleared the ordinance during the monsoon session of Parliament on 19th July 2018. Today (on 5th August 2018), President Approved the bill making it as a law. What is Fugitive Economic Offenders Bill ? This bill empowers authorities to attach and confiscate properties and assets of economic offenders like loan defaulters who flee the country. This bill aims to stop economic offenders who leave the country to avoid due process. Economic offences with a value of more than Rs 100 crores, which are listed in the schedule of the Fugitive Economic Offenders Bill, come under the purview of this law. As per the Bill, a court (‘Special Court’ under the Prevention of Money Laundering Act, 2002) has to declare a person as a Fugitive Economic Offender.